If you thought the worst that could happen on the wrong diet is not losing weight, or losing too much weight, check out Ashton Kutcher’s recent comments in USA Today. While portraying Apple co-founder Steve Jobs in an upcoming film, Kutcher tested out Jobs’ fruitarian diet and landed in the hospital as a result. 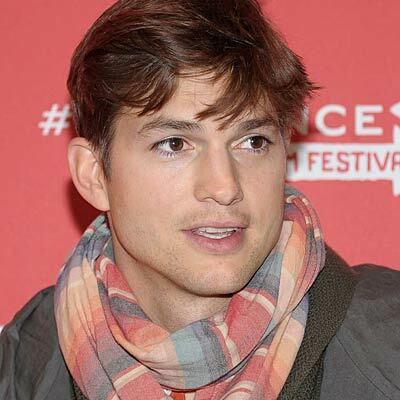 If you thought the worst that could happen on the wrong diet is not losing weight, or losing too much weight, check out Ashton Kutcherâs recent comments in USA Today. While portraying Apple co-founder Steve Jobs in an upcoming film, Kutcher tested out Jobsâ fruitarian diet and landed in the hospital as a result. Scary huh? As implied by the name, fruitarians eat, well, only fruit, which essentially results in a dietary double whammy--too much of a good thing, combined with not enough of other good things. In a nutshell, your body is like a magnificent construction site. Every cell needs a constant source of fuel to perform its job, and your body is in a continual state of regeneration. Eating a lot of fruit will deliver plenty of vitamins and antioxidants, likely more than can be used, but fruit alone cannot supply many of raw materials the body needs, which provide the building blocks that maintain your structure, from organ tissue to muscle, bone, immune cells, and hormones. As a result, the body is thrown out of whack, which can lead to a form of starvation and serious health risks. One of the most troubling diets Iâve come across is breatharianism. Proponents believe that food and water are unnecessary, and that humans can exist solely on energy from the sun. If I couldnât eat for the rest of my life, I would miss food and the experience of eating immensely. However, I have had clients throughout the years tell me that they wish they could give up food entirely, so I can see why this promise may be appealing to some. Unfortunately, or fortunately, we need both food and water to survive, and sadly people have died from trying this approach. All sorts of fad and quick fix diets have come and gone, from the baby food diet (yup, only eating jars of baby food) to color diets (only eating foods of a certain color, or rotating colors from day to day) and while many of these tactics will result in weight loss, itâs only because they limit food intake, not because they are the ârightâ ways to eat. The truth is, if youâve been eating enough to support 150 pounds of body weight, and you start eating enough to only support 120 pounds, youâll lose weight, but you may also worsen your health. While nutrition is a relatively young science, we do know a great deal about how to construct an eating plan that will support a personâs ideal body weight and simultaneously optimize health, and itâs far, far more complicated than calories in, calories out. Throughout my career, Iâve seen poorly designed diets result in: a thinner but flabbier frame, due to the loss of muscle; a weakened immune system; dull, dry hair and skin; mental and physical fatigue; an increased injury risk; and nutrient deficiencies. Bottom line: weight loss alone is only one piece of the puzzle. Possessing tapeworms is illegal in the US, yet I regularly read articles supporting bringing back the ingestion of tapeworms as a means of losing weight, and even enhancing health. While studies on helminthic therapy, the treatment of autoimmune diseases using parasitic worms, have been published by scientists at institutions like University of Iowa, the science is emerging, and the treatment is highly medically supervised. In the US, many people who unintentionally become infected with tapeworms die every year. In the 70s, Elvis supposedly tried the "sleeping beauty diet," which meant he was heavily sedated for several days, hoping to wake up thinner. Enough said! Cynthia SassÂ is a registered dietitian with masterâs degrees in both nutrition science and public health. Frequently seen on national TV, sheâs Healthâs contributing nutrition editor, and privately counsels clients in New York, Los Angeles, and long distance. Her latest New York Times best seller isÂ S.A.S.S! Yourself Slim: Conquer Cravings, Drop Pounds and Lose Inches.